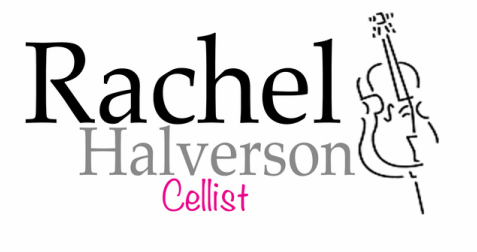 Rachel Halverson is a graduate of Kennesaw State University with a Bachelors in Music Performance on the cello. Throughout her career, Ms. Halverson has performed with a number of orchestras including the Kennesaw State University Symphony Orchestra, where she has held principal positions as well as with the Transylvania Symphony Orchestra at the Brevard Summer Music Festival. She has also performed with the Georgia Symphony Orchestra, and she performs regularly with the Georgia Philharmonic. Ms. Halverson completed an orchestral tour of China in 2010 where she performed at the Central Conservatory in Beijing and the People's Theatre in Xi'an. She has given solo performances and recitals at Kennesaw State University’s Morgan Concert Hall and University of Georgia’s Hugh Hodgson Hall. She recently appeared as a soloist and performed Vivaldi's double cello concerto with the KSU Philharmonic. Rachel is also an active chamber musician. Her string trio was featured in an Atlanta Symphony Orchestra “Conversation of Note” presentation, and her quartet has competed and placed in regional competitions around the South East. With a taste for music outside of the classical realm, Ms. Halverson is credited as a studio musician on 7-Sharp 9's 2008 rock album, 7-Sharp 9 as well as an upcoming album by Quiet Hounds. She also performed with the band KANSAS at the Cobb Energy Centre in 2012. Ms. Halverson has performed in master classes for cellists David Ying (Eastman School of Music), Jesús Castro-Balbi (Texas Christian University), Petr Nouzovský and Michael Mermegan, as well as performing in chamber ensembles for Robert Spano and members of the Biava Quartet, Pacifica Quartet, Ying Quartet, the Aspen Trio, and grammy award winning ensemble Eighth Blackbird. Her teachers include Alistair MacRae, professor of Princeton University, who she studied with at the Brevard Music Festival and her teacher of eight years Charae Krueger, who is a graduate of the New England conservatory. Believing that music has helped change her positively as an individual, Ms. Halverson shares what she knows about cello to children of all ages around the community. She is a frequent clinician for Georgia Youth Symphony Orchestra cellists, as well as a clinician for Prelude to Pope and Atlanta Violins’ "Upbeat!" string camps. She is also the primary private cello instructor for The Harmony House in historic Kennesaw. Not only is Ms. Halverson pursuing a Bachelors in Music, but she is also working towards a Bachelor's in Science for Nursing. She has an affinity and passion for cords/chords whether it is an augmented sixth chord in Music Theory or a spinal cord in Anatomy. She hopes she will survive the intense schooling for both the music and nursing program, and she also hopes to be able to sleep again when she decides to retire.